Word Wise Ministry is a ministry created by the passion, will and drive of the host: Rev. Dr. Arthur L. Porter. His goal is to teach the Bible to those who are being deceived and misled by the culture. This passion gave rise to a program of teaching Scripture to those ensnared by the secular culture, because too many professed Christians are biblically illiterate. People who are following the cultural have to be more informed about Scripture if we are ever to rescue them and connect them to Jesus. He believes preaching of the Gospel is quite pervasive but teaching lags behind. Teachers are the shapers of tomorrow; and what the church needs are better teachers today in order to have better prepared disciples tomorrow. The Word Wise mission is to boldly and passionately present Christ to unbelievers in order to draw them into a closer and more intimate relationship with God for conversion and connection to Jesus. 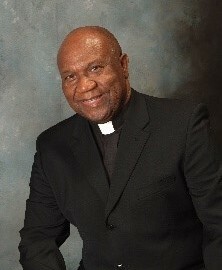 Pastor Porter was born in Childersburg, Alabama on May 10, 1941 and graduated from Phyllis Wheatley High School. He was an only child of Lillian Porter Garrett. He moved to Los Angeles, California in 1963 and married his wife Janice Henderson in 1970. They have two grown children. Arthur came to the ministry as a second career. The first half of his working life was as an attorney. He was baptized into the Baptist church at an early age, but after meeting his wife, Janice, he was introduced to the Lutheran Church and was strongly convicted by their teaching of the word. He served in many leadership roles in the church, particularly as a teacher and after persistent encouragement from his pastor and others and wrestling with the Holy Spirit, he was convicted and entered the Lutheran seminary at Fort Wayne, Indiana. For years Arthur’s parish ministry emphasized the grace of God with uncompromising commitment to practical, biblical truth and its application. He has served the following congregations in his pastoral ministry. Arthur has always demonstrated a serving heart demonstrated by his involvement in many community, business and public and Christian organizations. He contributes opinions to newspaper articles and have authored a book, The Slavery of Christian Freedom,” published by Tate Publishing Company. He has hosted a religious trip to Germany (Footsteps of Martin Luther) and two trips to the Holy Land (Footsteps of Jesus).